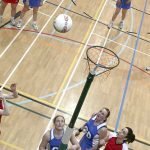 Netball Injuries – What are the best ways to treat them? What are the most typical netball injuries? Netball injuries are more common than you might expect. According to some sources, they happen about 14 times in every 1,000 hours played. In other words, on average, you are likely to be injured once every 70 games. That’s fine if it is a mild injury, but could really spoil your enjoyment if the injury is more severe. Because it is such a multi-directional sport, a lot of the pressure is on the joints, especially the ankles and knees. The fingers, hands and wrists are also very susceptible to injury. 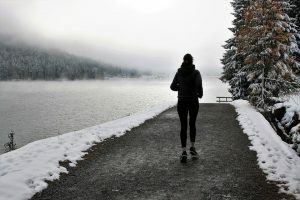 Winter back pain – The things you can do to get relief. Winter back pain can really slow you down and ruin your day. Back pain is bad enough at any time of year, but it is often worse during the colder months. Though the scientists struggle to explain the exact reasons, anecdotal evidence seems to back this up. It is plausible that conditions such as rheumatoid arthritis would be affected by the weather, but most other back pain can be caused by a variety of reasons, and science doesn’t always pinpoint the exact reason why. However, two things tend to be true in winter. Mood is often lower, and people tend to exercise less.Both these aspects are thought to have an impact on levels of discomfort. Climbing injuries – What are some of the best treatments? What treatments are good for climbing injuries? 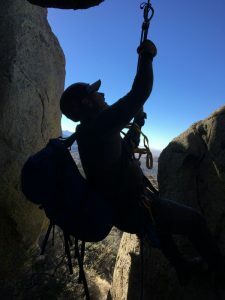 Climbing injuries come in many different varieties because of the unusual demands of the sport. The shoulders, in particular, are vulnerable. Two of the most common shoulder injuries are to the rotator cuff muscles and partial dislocations. The other area that is highly susceptible to damage is the fingers. The common finger complaints are tendonitis and pulley tears. We look at different forms of treatment and show how they might help you to recover. Training when you least feel like it. Winter training, it isn’t everybody’s favourite thing. The days are so short, and scraping ice from the car to go to the gym can be a chore. And for those of you that like to run or cycle, cold, wet and dark roads don’t help either. So what can you do to help motivate you through the dark months? Here are a few tips that will keep you going.